On Saturday, August 31, 2013, we baptized our newest addition to the Smith family! 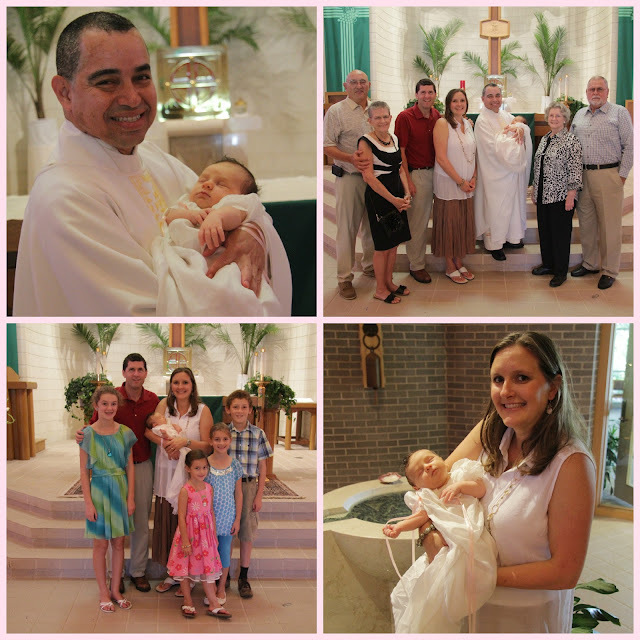 In our Catholic faith, we baptize infants into God's family. 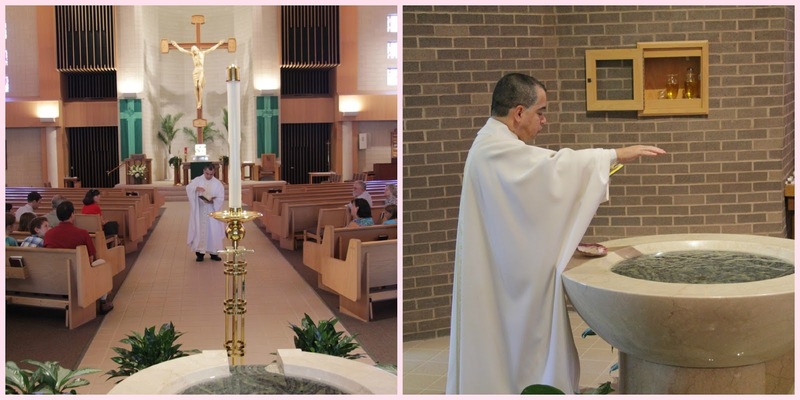 For more information on infant baptism in the Catholic Church go HERE and HERE. Here are some photos that my Dad took of our sweet ones special and faith-filled day! I can't thank my Dad enough for capturing another one of our family's celebrations on camera! We are so grateful for his wonderful gift of photography! On the left side is the 70 year old christening gown hanging up that was hand-made by Leah's great, great grandmother. 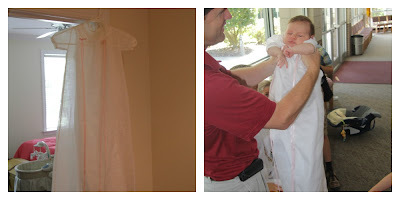 My mom and her brother wore the gown as infants at their baptism and it has been passed down ever since. My siblings, cousins, and I wore it at our baptism and now my children have worn it. 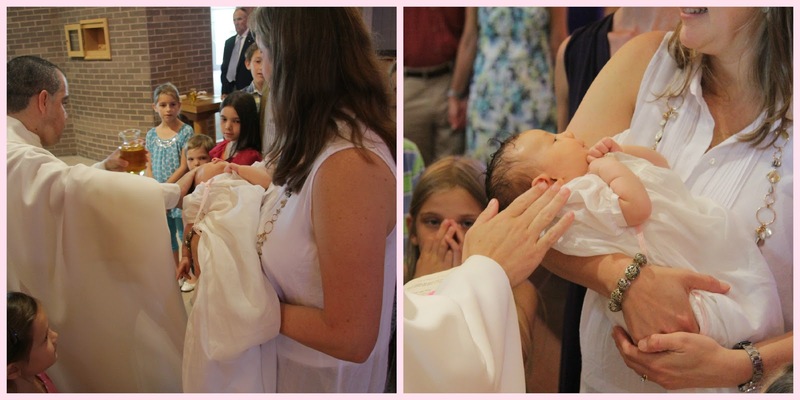 My son had blue long ribbons on the gown when he was baptized and at Leah's baptism he exclaimed, "I wore a dress at my baptism!" :) On the right side is Leah modeling the beautiful gown. 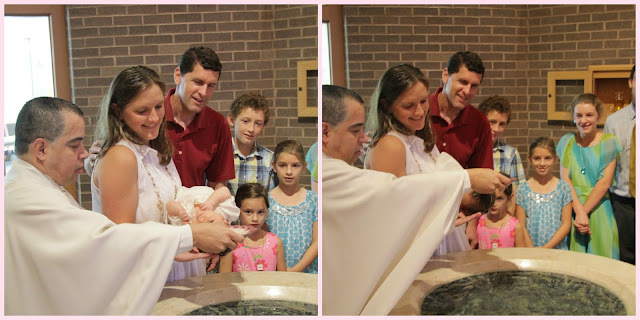 "Leah, I baptize you in the name of the Father, and of the Son, and of the Holy Spirit." 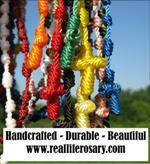 This is one of our family's favorite pictures of Fr. Alex holding and kissing our little Leah. 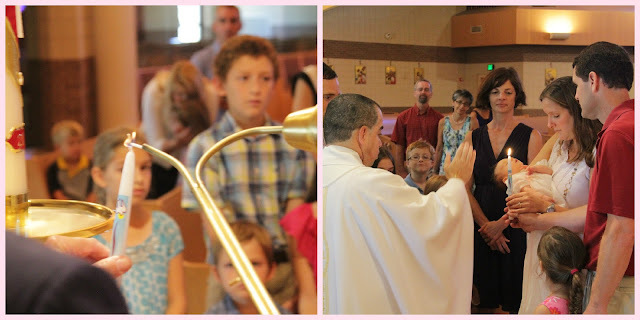 We are blessed to know such a wonderful priest who loves all his "children" and who loves homeschool families! Oil of Baptism is olive oil rubbed on the breast of the baby, just as athletes used to rub themselves with oil to strengthen and prepare for the fight ahead. It symbolizes strengthening for the struggles of life ahead. Oil of Chrism is a mixture of olive oil and balsam (sweet-smelling ointment) and is rubbed on the crown of the head. 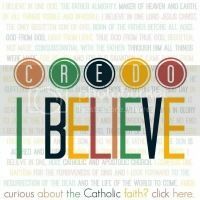 It is a sign of sealing with the gifts of the Holy Spirit. The profession of faith which you make on behalf of your child at Baptism will later be confirmed personally by your child in the Sacrament of Confirmation when Oil of Chrism will be used again. My parents, in-laws and families from our homeschool group who were able to attend the baptism. 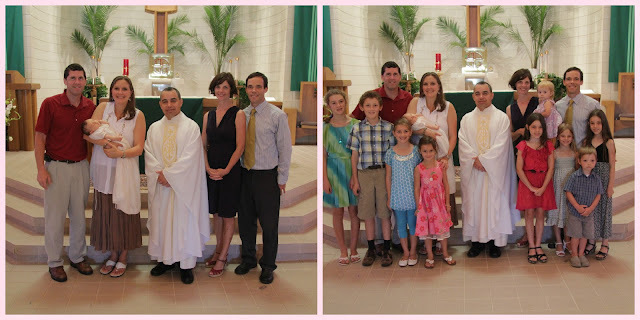 Our family with Leah's Godparents and their family. They also have the last name of Smith, but we aren't related. 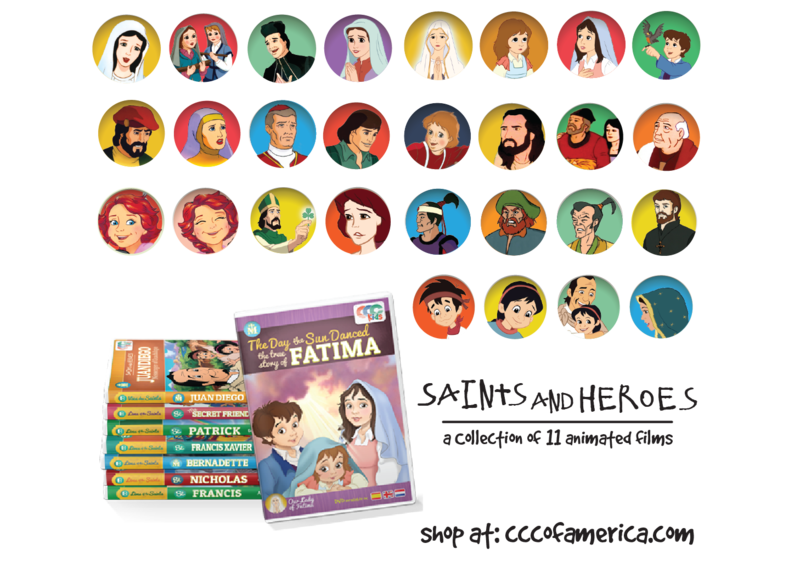 Cameron Smith, Leah's Godfather, is the Catholic artist that did the amazing and beautiful print of the Sacred Heart of Jesus (shown at the top of my blog on my blog header) and Immaculate Heart of Mary. You can view and order both prints HERE. 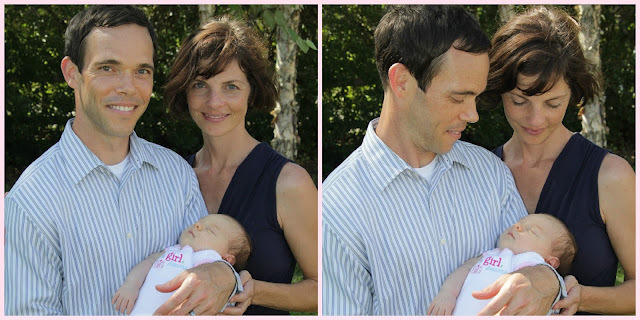 Leah's Godparents are beautiful inside and out! Leah was not too impressed with cutting her cake as she dozes off in the middle of cake cutting! :) My 13 year old cupcake wrote "Welcome to Leah's Baptism Reception" on our driveway with chalk to welcome our guests to our house for the reception. 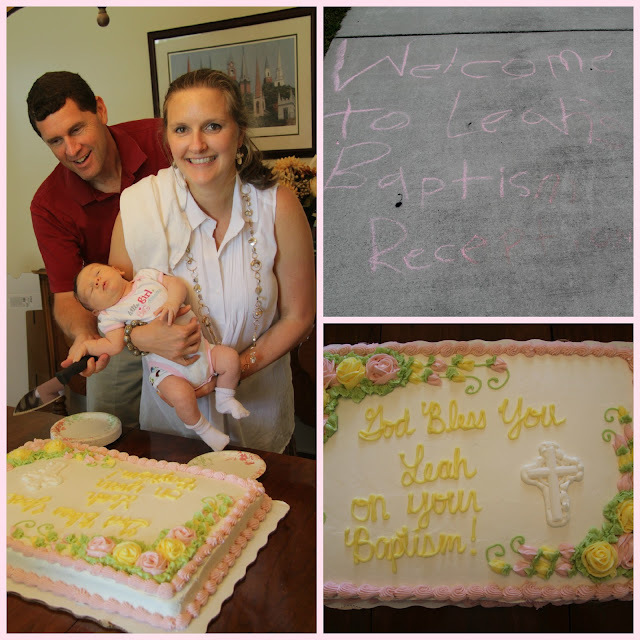 The cake says "God Bless You Leah on your Baptism." 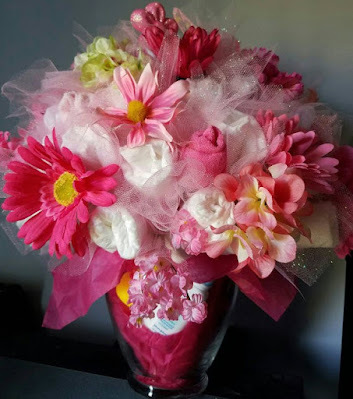 It was a beautiful and blessed day filled with special graces, family, and friends! 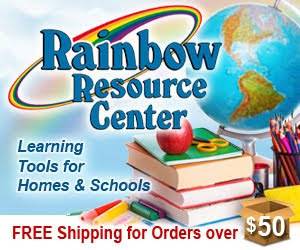 Thank you for stopping by my corner of blog land to allow me to share this joyous occasion with you! Congratulations! What beautiful photos! 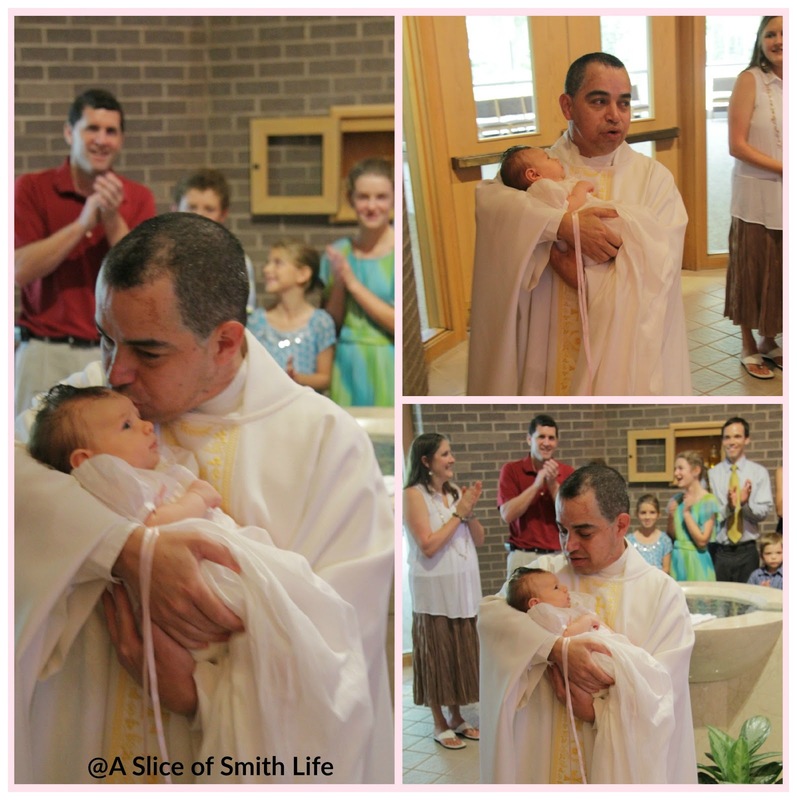 I am so impressed with such a special priest who obviously cared so much about you and your precious little girl! And, what a crowd you had to commemorate the special day. Wow! May God bless Leah always. A lovely post! 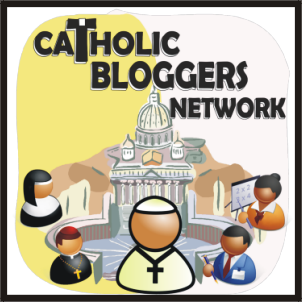 It is wonderful how you share our Catholic faith with your readers! 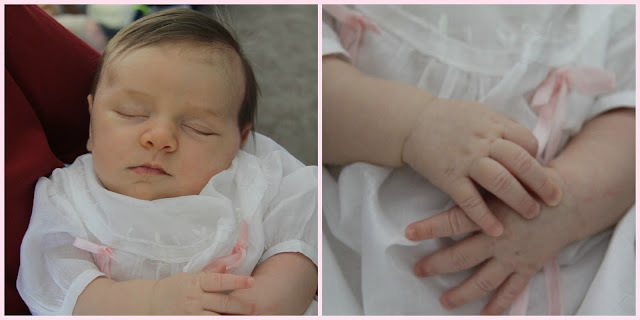 Leah is adorable... what a special tradition with the christening gown. It is just beautiful! Thank you for your lovely comments and for stopping by again! Father Alex holding and kissing Leah is one we will treasure always for sure! We are blessed by him! Have a blessed week!